Management and Leadership encompass multiple disciplines. Communication and collaboration provide the foundation to do both well. Educational Leadership Preparation; Management & Team Development; Mentoring; & Action-Research. Leadership Preparation & Team Development through a Multidisciplinary Approach; Diversity Issues (i.e. Gender, Special Education, Needs-based Negotiation (NBN), Response to Intervention (RtI) from a Leadership perspective); Mentoring Faculty; & Teaching/Learning (e-learning)practices. Patricia Ann Marcellino (2015). I Don't Want To Be A Leader: Or Do I? Syosset, NY: C & P Consulting Services Inc..
Dr. Patricia Ann Marcellino (2015). A Teambuilding Model for the Educational Leadership Classroom (Chapter 13). In Colin Calleja & Christine Johnston (Eds.). A Learning Paradigm: Informed by Knowledge of the Learning Self (A Compendium of Applied Research on the Let Me Learn Process. (pp. 271-285). Horizons & Forum on Learning. Dr. Patricia Ann Marcellino (2015). From Pedagogy to Diagnosis: Metaphors Provide Access to Leadership Teams (Chapter 11). In Colin Calleja & Christine Johnston (Eds.). A Learning Paradigm: Informed by Knowledge of the Learning Self (A Compendium of Applied Research on the Let Me Learn Process. (pp. 223-245). Horizons & Forum on Learning. Dr. Patricia Ann Marcellino (2015). Revisiting & Redesigning a Faculty-Developed Team Instructional Model (Chapter 10). In Colin Calleja & Christine Johnston (Eds.). A Learning Paradigm: Informed by Knowledge of the Learning Self (A Compendium of Applied Research on the Let Me Learn Process. (pp. 199-222). Horizons & Forum on Learning. Marcellino, P.A., with Burton, D.T. (2012). Leadership: The role of school and district administrators in implementing RTI. In Burton, D.T., & Kappenberg, J. (Eds.). The complete guide to RTI: An implementation tool kit. (pp. 154-173). Thousand Oaks, Ca: Corwin Press. Marcellino, P.A. (2010). Revisiting and redesigning a faculty-developed team instructional model. In Irby, B.J., Alford, B.J., Perreault, G., & Zellner, L. (Eds.). Promoting critical ideas of leadership, culture & diversity. (pp. 39-56). Lancaster, PA: DEStech Publication, Inc. Pro>Active Publications. Marcellino, P.A., & Berman-Wolf, L. (2009). Leadership in Children's Books: Bridging Values of Equity in Creating Gender Awareness. In Achilles, C.M., Irby, B.J., Alford, B., & Perreault, G. (Eds.). Remember our mission: Making education and schools better for students. (pp. 119-138). Lancaster, PA: DEStech Publications, Inc. Pro>Active Publications. Marcellino, P.A., Eichenholtz, S., & Sosin, A.A. (2007). Applying Learning pattern theory for the preparation of educational administration. In Lemasters, L.K., & Papa, R. (Eds.). At the tipping point: Navigating the course for the preparation of educational administration. (pp. 145-155). Lancaster, PA: Pro>Active Publications. Marcellino, P.A. (2006). A teambuilding model for the educational leadership classroom. In Dembowski, F., & Lemasters, L. (Eds.). Unbridled spirit: best practices in educational administration. (pp. 216-225). Lancaster, Pa: Pro-Active Publications. Marcellino, P.A. (2006). Reflections and team learning at the intersection of business and education. In Huber, N.S., & Harvey, M. (Eds.). Leadership at the crossroads. College Park, MD: The James MacGregor Burns Academy of Leadership. Marcellino, P.A. (2012), Preparing educational leaders for social justice, action-learning, and democratic activism. Internationall Journal of Educational Leadership Preparation, 7 (3), 1-13. Marcellino, P.A. (2011), Fostering Sustainability: A Case Study of a Pilot Mentoring Program at a Private University. Mentoring & Tutoring: Partnership in Learning, 19, 441-464. Niles, W.J.,& Marcellino, P.A. (2010), Partnering with conflict:: A role for needs based negotiation in teacher-parent collaboration,. The International Journal of Diversity in Organizations, Communities & Nations, 10 (1), 297-308. Marcellino, P.A. (2010), From pedagogy to diagnosis: Metaphors provide access to leadership teams. International Journal of Educational Leadership Preparation, 5(1)., http://cnx.org/content/m33997/latest/. Marcellino, P.A. (2008), Action-research: Adopting team contracts to initiate team learning. AASA Journal of Scholarship & Practice, 5 (1), 15-20. Marcellino, P.A., & Niles, W.J. (2008), Reframing the needs-based-negotiation process for acceptance among educators. School Leadership Review, 3 (1), 39-45. Marcellino, P.A. (2007), Reframing metaphors in business and education teams. Journal of Educational Administration, 45 (3), 289-314. Marcellino, P.A. (2007), Analyzing leadership through media exploration: Where are the women leaders? Education Leadership Review, 8, 38-50. Marcellino, P.A., Eichenholtz, S., & Sosin, A.A. (2006), Faculty action-research: Applying learning pattern theory to an e-folio initiative. National Council of Professors of Educational Administration (NCPEA) Connexions. Marcellino, P.A. , & Niles, W.J. (2005), Borrowing from business and re-Aligning needs-based negotiation with Senge's five disciplines. NCPEA Education Leadership Review, 6 (2), 32 - 37. Marcellino, P.A. (2005), Learning from contrasting teams. Academic Exchange Quarterly, 9 (2), 230-235. Marcellino, P.A. (2005), Bridging disciplines and setting up diverse teams. Journal of Behavioral and Applied Management, 6 (3), 167-210. Marcellino, P.A., & Sosin, A.A. (2005), Digital portfolios in educational leadership and literacy graduate programs: An action research study. Long Island Education Review, 5 (1), 18-22. Marcellino, P. A. (2004), Beginning a team journey of discovery. Academic Exchange Quarterly, 8 (3), 12-16. Marcellino, P. A. (2004), Building leadership and understanding in teams. Academic Exchange Quarterly, 8 (1), 304-308. Niles, W.J., & Marcellino, P.A. (2004), Needs based negotiation: Making talk work. Teacher Education Special Education, 27 (4), 419-432. Hyland, M, & Marcellino, P.A. (2002), Where are the women? - An examination of the gender composition of corporate boards in relation to organization size and industry. Corporate Governance Journal, 2, 24-31. Marcellino, P.A., & Burton, D.T. (2013). Innovations in NYS: Voices of Administrators Regarding Implementation & Practice of Response to Intervention & Common Core Standards. In National Council of Professors of Educational Administration (pp. 15). Rutherford, NJ. Marcellino, P.A. (2012). Sustaining Quality: Applying a Multidisciplinary Approach to a School Leadership Course as a Teaching & Learning Strategy in a Nationally Recognized Leadership Program. In National Council of Professors of Educational Administration (NCPEA). Kansas City, MO. Marcellino, P.A. (2010). Symposium Panelist & Speaker: Collaboration, Teaming & Teaching. In Northeastern Educational Research Association. Rocky Hill, Connecticut. Marcellino, P.A. (2010). Mentoring Faculty: A Pilot Program Is Implemented at a Private University. In National Council of Professors of Educational Administration (NCPEA) (pp. 20). Washington, DC. Thornburg,D. ; Marcellino, P.A. ; Eichenholtz, S.; Singer, S.; & Siris, K. (2009). Symposium: Action-research within an Educational Leadership Program: Studies in Partnership, Authenticity and Resistance. In University Council of Educational Administrators (UCEA). Anaheim, California. Marcellino, P.A., & Eichenholtz, S. (2009). Innovative Techniques Utilized in an Educational Leadership Program. In National Council of Professors of Educational Administration (NCPEA). San Antonio, Texas. Marcellino, P.A. (2009). Preparing Educational Leaders for Action-Learning and Democratic Activism. In American Educational Research Association (AERA) National Conference. San Diego, California. Marcellino, P.A., & Wolf, L.B. (2008). Are Leadership Inequities Perpetuated in Children's Literature Chosen by Instructional Leaders? In National Council of Professors of Educational Administration (NCPEA) (pp. 23). San Diego, California. Marcellino, P.A., & Wolf, L. B. (2007). Exploring Leadership in Children's Books: Making a Difference in Issues of Equity. In Northeastern Educational Research Association (NERA) (pp. 17). Rocky Hill, Connecticut. Marcellino, P.A. (2007). Exploring Metaphors in Educational Leadership Teams. In National Council of Professors of Educational Administration (NCPEA). Chicago, Illinois. Marcellino, P.A. (2007). Initiating Team Learning Through Team Contracts. In American Educational Research Association (AERA) (pp. 1-27). Chicago, Illinois. Marcellino, P.A., & Niles, W.J. (2006). Needs Based Negotiation for School Collaboration: Making Communication Work. In International Leadership Association (ILA). Chicago, Illinois. Marcellino, P.A. (2006). The Utilization of a Team Contract as an Instructional Tool. In Institute of Behavioral & Applied Management (IBAM). Memphis, Tennessee. Marcellino, P.A., Eichenholtz, S.E., & Sosin, A. (2006). Faculty Action Research: Applying Learning Pattern Theory to an E-folio Initiative. In National Council of Professors of Educational Administration (NCPEA). Lexington, Kentucky. Marcellino, P.A. (2006). Listening to Metaphoric Messages in Business and Education Teams. In American Educational Research Association (AERA) (pp. 20). San Francisco, California. Niles, W.B., & Marcellino, P.A. (2006). Needs Based Negotiation: Making Talk Work in Collaborative Environments. In International Congress for School Effectiveness and Improvement. Fort Lauderdale, Florida. Marcellino, P.A. (2005). Examining Leadership through Media Exploration: Where Are the Women? In University Council of Educational Administrators (UCEA) National Conference. Nashville, Tennessee. Niles, W.J., & Marcellino, P.A. (2005). Needs Based Negotiation: Making Talk Work for School Collaboration. In New York IDEA Partnership - 10th Conference on Inclusive Schools & Communities for Children & Youth. Tarrytown, New York. Marcellino, P. A., & Sosin, A. (2005). Applying Expectancy Theory to Digital Portfolios. In American Educational Research Association (AERA) National Conference & Annual Meeting. Montreal, Canada. Marcellino, P. A. (2004). Issues in Leadership Preparation - Chair of Session. In University Council of Educational Administrators (UCEA) National Conference. Kansas City, Missouri. Barbour, J., English, F., Marcellino, P. A., & Gipson, J. (2004). Symposium Panel: Developing Contextual and Theoretical Understanding of Leadership through Film-Deconstructing Shared Leadership, Team Development and Transformation Change Through Media Exploration. In University Council of Educational Administrators (UCEA) National Conference. Kansas City, Missouri. Marcellino, P. A. (2003). Creative problem solving: A teambuilding model for leadership classrooms. In University Council of Educational Administrators (UCEA) National Conference. Portland, Oregon. Marcellino, P. A. (2003). Building a learning community: A contrast of two diverse teams of learners. In Northeastern Educational Research Association (NERA) Regional Conference. Hudson Valley, New York. Marcellino, P. A. (2003). Intentionally Building Teams For Creativity and Problem-Solving. In 6th Annual Let Me Learn Summer Institute. Philadelphia, Pennsylvania. Boyer, N., Kottkamp, R., Maher, P., Marcellino, P. A., Pearle, K., Rusch, E., & Silverberg, R. (2003). A Symposium For Diverse Learners: Creating Communities of Learners in Higher Education. In American Educational Research Association (AERA) National Conference. Chicago, Illinois. Marcellino, P. A. (2003). Igniting Learning Through Teams & Partnerships. In Association for Supervision & Curriculum Development (ASCD) National Conference. San Francisco, California. Hyland, M., & Marcellino, P.A. (2002). An Examination of the Gender Composition of Corporate Boards in Relation to Organization Size and Industry. In Institute of Applied Behavioral Management (IBAM) National Conference. Denver, Colorado. Marcellino, P. A. (2002). A Team-Building Model for Management/Leadership Classrooms. In University Council of Educational Administrators (UCEA) National Conference. Pittsburgh, Pennsylvania. Patricia Ann Marcellino. (2017, January). Speaker & Workshop Facilitator on the Presidential Inauguration and E-Book: "I Don't Want To Be A Leader: Or Do I?" Half Hollow Hills East Library, LI, New York. Patricia Ann Marcellino. (2016, July). Speaker at P.E.A.C.E. Program Camp on Career Day on E-Book: "I Don't Want To Be A Leader: Or Do I?" Hempstead, LI, New York. Patricia Ann Marcellino (2010, October). Symposium Panelist & Speaker: Collaboration, Teaming and Teaching. Northeastern Educational Research Association Conference (NERA) in Rocky Hill, Connecticut. Sage Encyclopedia of Educational Leadership and Administration. Editor: Fenwick English. Published: 2/2006. Entries: Creativity in Management; Goals, Goal Setting, Uses & Importance; Theories & Applications of Group Dynamics; Scalar Principle. "Supporting Students With Learning Difficulties". This article focuses on the NYS mandate of Response to Intervention (RtI),which is a scientifically-based learning approach applied to students in the area of Reading in Kindergarten through 4th grade. Issue ISSN: 1833-5535; Reg. No. 00 20060424 In Australia Issue: Spring 2014; In USA Issue: Fall 2014; p.26. Leadership in focus: Journal for Australasian School Leaders. October 2014. "IPad Project: Initial First Steps". 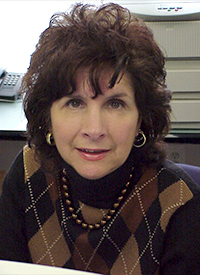 Dr. Marcellino wrote an article for the Spring 2013 Faculty Center of Professional Excellence Newsletter on her teaching with IPads entitled: "IPad Project: Initial First Steps.". Adelphi University: Faculty Center of Professional Excellence Newsletter. May 2013. New York City Department of Education (NYC DOE) (2010) -- Office of Non Public Schools in Partnership with Adelphi University's Educational Leadership program. Currently we are a vendor of record with 5 other colleges in the NYC Metropolitan area. This is a renewal of a previous grant (2005) through this NYC DOE Office, which was with 3 other colleges in the NYC metropolitan area. Fall 2012 Research Release for 1-course equivalent to administer survey to 422 Long Island Elementary School Principals on planning & implementation of Response to Intervention (RtI) program in their schools. Faculty Rank: Professor Emeritus (2017 to present). Faculty Rank: Professor (2012 to 2017). (Interim) Associate Dean for Academic Affairs (September 1, 2013 to December 31, 2014). Former Member of Content Advisory Committee of New York State School Building Leader Certification Examination; Former Member of Content Advisory Committee of New York State Business Teacher Certification Examination; Former Member of CSETL (Center for the Study of Expertise in Teaching and Learning), Recipient of the Madeleine Gardner Career Development Award (School of Business). (Invited) Member of the Editorial Board of the Long Island Education Review (December 2010 to 2014). Current Membership in the National Council of Professors of Educational Administration (NCPEA); Former Member of the Northeastern Educational Research Association (NERA) & Former Member of the American Educational Research Association (AERA). Current Reviewer for National Council of Professors of Educational Administration (NCPEA) Publications in the area of Mentoring & Tutoring. Invited Reviewer for several educational/business leadership journals on leadership preparation (i.e. Journal of Educational Administration (JEA), Journal of Behavioral & Applied Management(JBAM) & International Journal of Qualitative Research Studies in Education. Elected Trustee Member of the Boys & Girls Club of Oyster Bay-East Norwich (July 2011-2014). Former Member of the Virginia Maurer Educational Foundation Advisory Board. Former Member of the Long Island Leadership Advisory Council. Former Member of Board of Trustees of Nassau Community College (Board of Trustee Vice President & Chair of the Finance Committee).